Conveniently located near countless recreational opportunities as well as city amenities, Kings Grove Manor is the perfect place for your next family home. This neighborhood is located on the shores of Lake Wylie which means residents have access to the many outdoor activities the lake has to offer from boating to fishing to hiking. For more outdoor experiences, the neighborhood is also located near the McDowell Nature Preserve which includes a nature center, campgrounds, walking trails, and playgrounds making it the perfect destination for nature lovers. In addition to the many activities on Lake Wylie, the neighborhood itself offers many amenities including a pool and cabana and community walking trails and sidewalks. Residents can also golf at the Palisades Country Club. Kings Grove Manor is also minutes from uptown Charlotte giving residents easy access to local dining and entertainment. The homes in this neighborhood range in size from 1700 to over 2700 square feet. One and two story homes are available and have three to five bedrooms. Currently there are 10 homes on the market in Kings Grove Manor which represents 10 months of inventory. 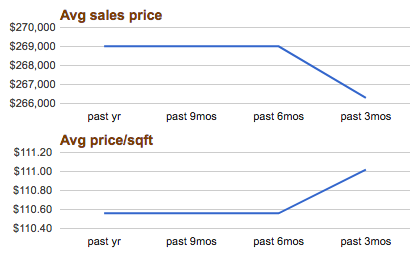 This means the neighborhood is currently a buyers market compared to the more balanced market of York County. 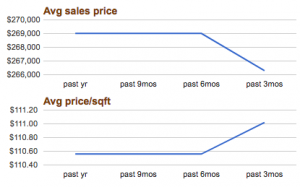 In the last year the average price per square foot has increased but the average sale price of homes has decreased. Homes are listed from around $240,000 to just under $300,000. With so many things to do both locally and in Charlotte itself, Kings Grove Manor is definitely worth checking out!